What happens when a child is born into a single parent family with no father in the home? Here are seven statistical realities directly tied to this issue. We may not like them, but we ignore them at our peril. Now, imagine that nearly three quarters of all African American children are born into families with no father living in the home. For Hispanics it's better than half; for Whites, it's approaching one third. It wasn't always this way, though. Fifty years ago, when racism was a much greater reality than it is today, the number of out of wedlock births among African Americans was about one third of what it currently is. Numerous credible politicians and sociologists understood this as the root cause for a good deal of what ails the Black community—and they’ve known this to to be true for the better part of a half century or more. However, many politicians and too much of the media simply ignore it. It's easier to make the claim that white racism is the real problem. It also sustains a prime political base for the far Left wing of democratic party, since Blacks are nearly monolithic in their support of democrats. This is true in spite of the fact that democrats were the party of slavery, Jim Crow and the Ku Klux Klan. And, contrary to popular opinion, the Republicans also supported the various civil rights bills of the 1960s in greater proportional numbers than did their democrat counterparts. There was probably no greater catalyst for the dissolution of the African American family than the “Great Society” programs of the 1960s. They subsidized single motherhood with welfare payments based on the number of children living in the home, with one caveat, there could be no father present. Almost overnight marriage among younger African Americans plummeted—and the two parent Black family began to crumble with it. Previously, single parent families were understood to be economically unsustainable, regardless of race. But, with Lyndon Johnson's Great Society programs, single parent families with a female at the head of the household, with no father present, not only became viable, but increasingly became the norm—at least that was true for African Americans. The result; the government replaced the absentee father, literally, and in doing so destroyed the Black nuclear family in a way that slavery never could. Census rolls at the end of the civil war indicate that Blacks had slightly higher two parent family rates than Whites did during the same period. So, slavery as the primary cause of Black illegitimacy simply isn't sustained by the evidence. There were other factors, such as the loss of America's industrial base in the 1970s and 1980s. These problems, however, were substantially exacerbated by the significant difference in already existing illegitimacy rates. In 1963 single parent, female-headed households were only 2.5% of White families. For Blacks, that number was ten times greater. Meaning; that African Americans had fewer financial resources to deal with the economic downturn. I have no doubt that racism and the artificial barriers erected to impede Black progress were major factors in the different marriage rates between the races, at least initially. But, by unintentionally subsidizing illegitimacy, which the government did in the 1960s, the problem exploded, trapping multiple generations of African Americans in barely sustainable poverty. What happens to a generation of children when their parents can no longer pass on basic knowledge about work, family and success, because those skills were never learned by doing something as simple as getting a high school diploma and then moving into the labor force. This became the growing reality for African Americans after the 1960s. It would require a very different kind of government intervention than slavery to destroy Black culture. That may not have been the intention, but, it was clearly the outcome. There is also ample evidence that president Johnson cynically understood that he could buy the Black vote for his party, for generations to come if it was disguised in the illusory form of a helping hand. This seemingly benevolent form of reparations was really a variation of Jim Crow in disguise, more insidious, more destructive than anything previously utilized. All one has to do is look objectively at the evidence, not the overheated rhetoric of the usual suspects, but the cold, hard, facts to see the truth of it. I am not suggesting that slavery had no lasting impact on African American culture, that would be ridiculous. I'm only saying that African Americans survived slavery, endured Jim Crow, lynchings and bombings, remarkably intact, given the circumstances. What happened nearly a hundred years after the end of slavery, though, only added to their misery—and it continues to do so. This notion of a continuing, widespread White racism as the root cause of all that ails the Black community is interpreted as a primary and ongoing problem, one that has simply gone underground. That is the way the Left uniformly states the problem. Meaning; that racism is merely hidden from view—or, possibly, it is something that is so deeply woven into the fabric of the culture that even when Whites no longer consciously harbor ill will towards Blacks, it's effect remains an ingrained part of American society. That is the same victimology that is incessantly reiterated throughout the media—and by the inflammatory race hustlers, both Black and White, that work endlessly to keep it alive and burning. Here is the real issue, unless people are willing to look beyond the simple black/white narratives being played out in the media, there will never be a solution—and I'm inclined to believe that for all the avaricious race hustlers—the media included—that is the intent. Let me be clear, this is major problem for all Americans, regardless of race. 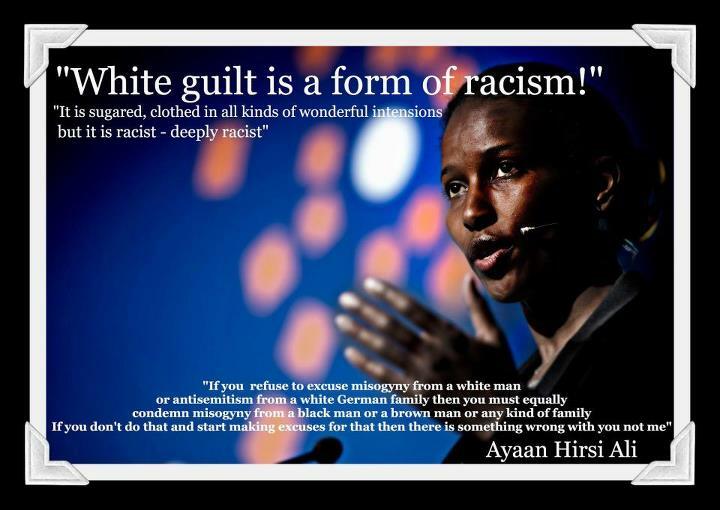 To keep hammering White racism as the cause of every African American or minority problem, is, in itself, racist. Make no mistake, an angry, alienated, predominately White America, is this cultures worst nightmare. Who's to blame? There are numerous variables, but more than any single factor it was and continues to be the government, both in the past when it was overtly racist, and, in the present when anti-racist measures were adopted and unintentionally began the process of re-segregation all over again. A whole range of government programs that were clearly intended to help, in the end, had exactly the opposite effect. Twenty years ago, Bill Clinton, running as a new kind of democrat understood this. In fact, it was a core part of his political platform. Once he won the presidency, he and the republican led congress ended welfare as we know it, doing so at a time when no republican could have succeeded in doing the same. I'm inclined to believe that if he were to be asked privately what he thought of the revitalization of the welfare state, as well as the growth in government by our current president—or, what he thought about the endless race baiting that has only inflamed the country, he would be clear in his answer. But don't hold your breath waiting. Politics, after all, is about getting elected. That takes precedence over everything else. He understands that, so does Hillary, so do the republicans, just as LBJ did a half century ago. It's time the rest of the nation did as well. A house divided against itself makes for easy prey, both by the many predators within our country—and those waiting on the outside, even more.